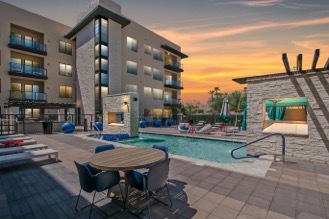 Azure is located in Paradise Valley right on Scottsdale Road and Indian Bend. These are super modern homes with tons of indoor and outdoor living and courtyards with multiple pocket doors. There are 66 home sites that are single family residences. Square footage ranges from 3,000 up to 6,800. They offer several different floor-plans and architectural styles so that your home is personalized. Grand Opening is scheduled for Saturday and Sunday, October 20th and 21st. Contact us today if you will like more information or a private tour of these amazing model floor plans. 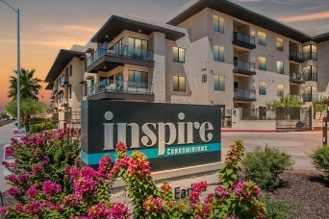 Inspire is the perfect condo for someone who wants to live somewhere with great walkability and who wants to downsize. There are no stairs at Inspire, only elevators, which makes it very convenient. Each unit has ten-foot ceilings, hard wood floors, gas fireplaces and beautiful finishes. The pool area is also done in a resort style. Condos come in one or two bedrooms and start at $298,900. There is a 1% down program for Inspire specifically. This program was rolled out for lower down payments so you can get into this brand new property for anywhere from $4,000 to $6,000 depending on the purchase price. These homes are move in ready with very little out of pocket. Envy is the number one building in all of Scottsdale. It is an eight-story glass tower that provides views of the McDowell Mountains and Four Peaks. 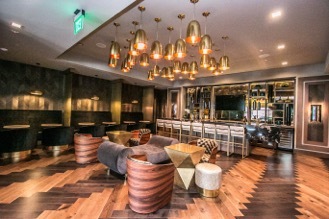 Units in Envy are ultra-modern and have sleek finishes. The amenities are also top notch. 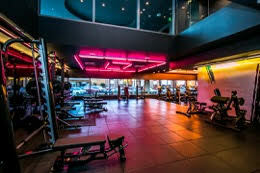 Envy has the number one fitness center in town, a gorgeous pool with lounge area, a Black Label lounge downstairs and has 24/7 concierge. There are only 8 units left! There is a one bedroom available and the rest that are available are 2 bedrooms with 2 bathrooms. Units start at $398,900.